This Sunday will mark the sixth and final installment of our sermon series exploring the ways that we have been shaped for God’s purposes. Guided by the acronym ‘SHAPE’, developed by Rich Warren, we have examined our Spiritual gifts, Heart, Abilities, and Personality. This Sunday, we are going to look at how our Experiences shape, not only who we are, but how we can live out God’s good and life-giving purposes in the world. When it comes to the area of experience, it’s important to recognize that God can use all of our experiences for his good purposes. This includes those experiences which may not seem particularly spiritual or godly, and which may have even been negative and/or painful. God never wastes a good or bad experience to draw us closer to himself and to make his loving reign known in the world. The Rev. 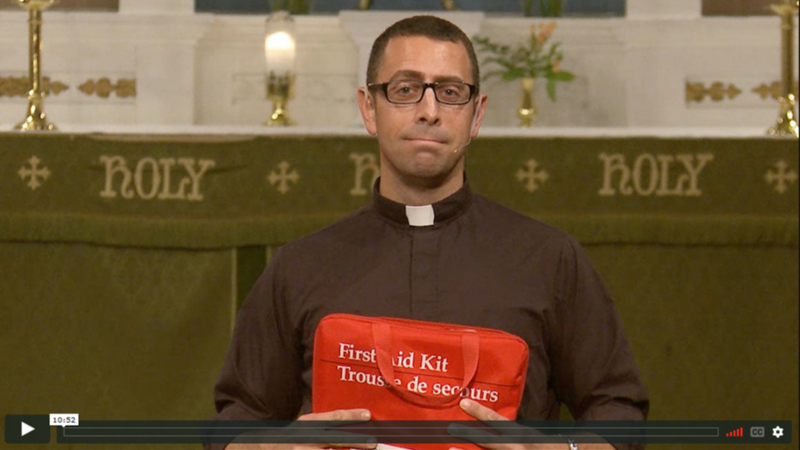 Dan McMullen, Diocesan Missioner of the Upper Kennebecasis, will be with us this Sunday morning at St. Paul’s. In addition to speaking to us about the ways that God makes use of our experiences, Dan will also be sharing with us from his own recent experience of leading a group of young people from across the Diocese on a discipleship trip to Toronto. I hope you can join us a we learn from both Dan’s and our own experiences together.